Superior Performance using Chemours Teflon® PTFE Dispersion. Applied Plastics Corporation, of Tuscumbia AL, is an innovator in high performance coated fabrics and industrial belting products. Under its Applon™ product line, Applied Plastics produces a number of premium PTFE impregnated products using genuine Chemours Teflon® coupled with proprietary manufacturing processes. This proprietary PTFE impregnation process was developed by Applied Plastics in 1965 and allows for an even distribution of PTFE throughout the base material and offers superior performance to more traditional surface coating techniques. 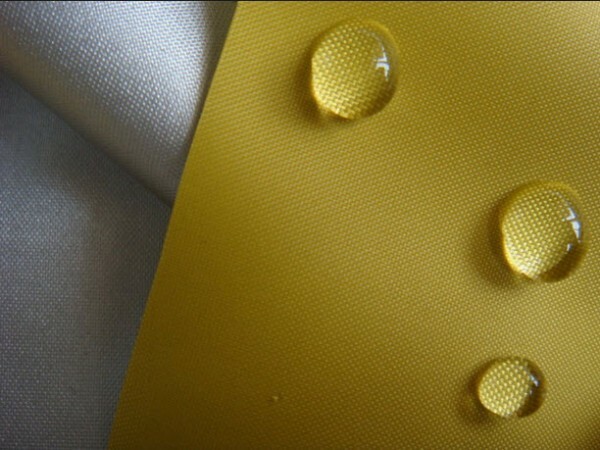 Example of fluid repellency in Polytetrafluoroethylene (PTFE) impregnated fabric. Applied Plastics has made significant investments in proprietary fabric coating processes, specialized equipment and technology to support the production of high-temperature fabrics and belting. In addition, all Applon™ products are manufactured with the latest aqueous fluoropolymer technology from DuPont. Chemours Teflon® aqueous fluoropolymers are dispersions of PTFE particles in water, stabilized by non-ionic wetting agents. These aqueous dispersions offer a practical method for impregnating fabrics, belting and other base materials, with PTFE to impart many of the benefits of fluoropolymers into the finished product. Example of Polytetrafluoroethylene (PTFE) impregnated conveyor belting. Applied Plastics selected Chemours Teflon® PTFE aqueous dispersion for its unique and high performance characteristics. Chemours Teflon® PTFE aqueous dispersions have allowed Applied Plastics engineers to move past traditional design boundaries to produce extreme duty PTFE impregnated fabrics and belting that exhibit consistent quality, performance and durability. 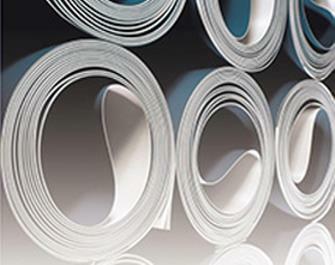 Applon™ PTFE impregnated fabrics and belting are designed for continuous service temperatures up to 500°F and are available in any desired length, in thicknesses up to .125 inch and widths to 88 inches. Provides PTFE performance characteristics in a liquid dispersion.